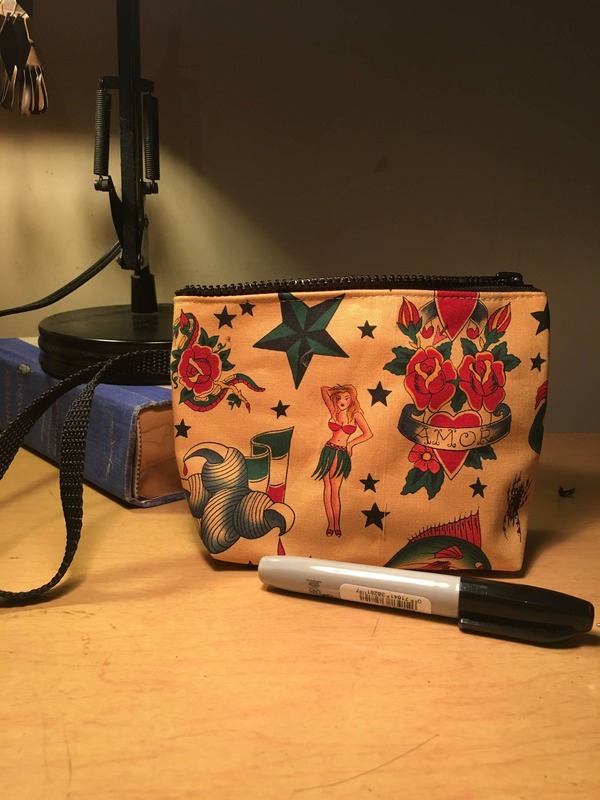 Cotton Tattoo Print Wristlet, Sailor Jerry 7 Clutch Purse, Pouch, Cosmetic Make Up Bag. 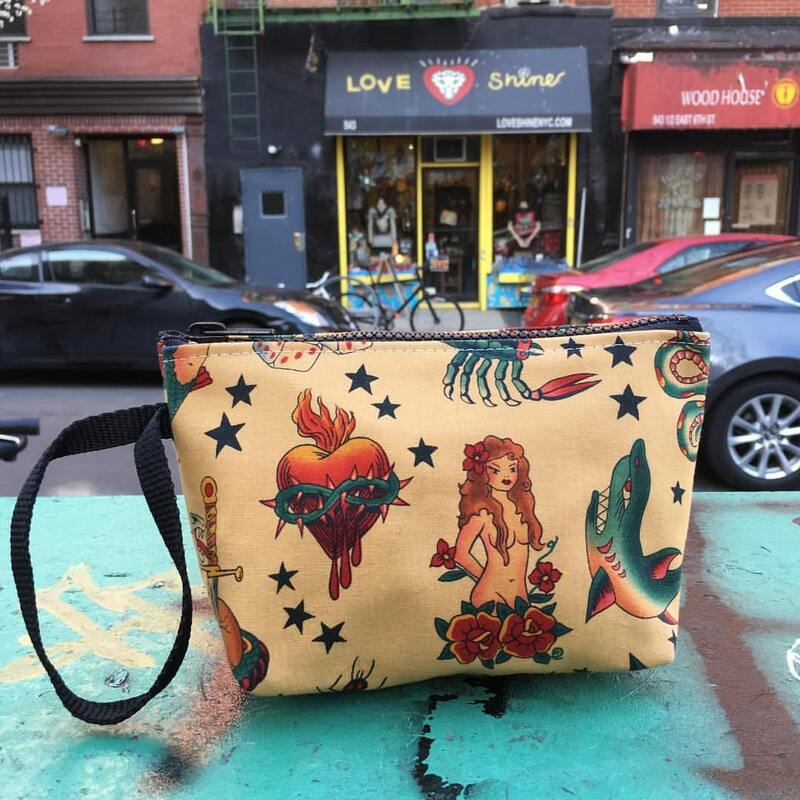 Cotton Tattoo Print Wristlet, Sailor Jerry 7" Clutch Purse, Pouch, Cosmetic Make Up Bag. or use at as the perfect size case to fit in your larger bag.